The following is a guest post written by Alexander of Daytradingz.com. Alexander started his blog in 2016 to share his experiences with short-term investing and offer up insights about the major tools and vendors in this space. 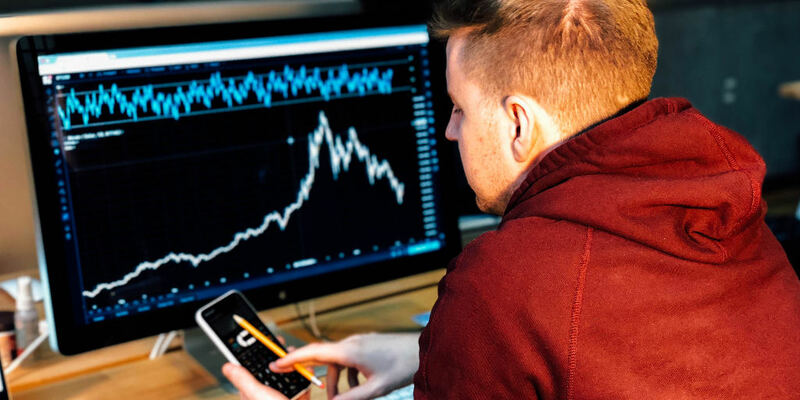 While PFFB recommends beginners focus on a simple, long-term investing strategy… if you’ve ever thought about day trading in any shape or form, this article is for you! The majority of investors who seek to increase their money through short-term speculation fail. It doesn’t take long before one’s original investment is gone completely. What are the reasons behind this financial mistake? In this post, you’ll learn about five key factors that can determine whether or not a short-term investment strategy has any chance of success. Judging from the name alone, you might get the impression that “short-term investing” requires you to dedicate much time to the venture. In reality, the opposite is the case. Short-term investing requires a lot of time, attention, and commitment from you – the complete opposite of “buy and hold” investing. Preparing for a day of trading will require the analysis of capital markets that will easily keep you occupied for several hours. Following up on the trading day can require similar amounts of time. This preparation outside of trading hours is worth the trouble. If you aren’t ready to invest your time, be ready to lose your money. Sure, advertising often promises something else: Invest $200 and we’ll help you become a millionaire! The average returns with long-term investments are typically around 6-8% per year. If you decide to speculate on short-term investments, your goal should be to beat that safe 6-8% return. If you can’t beat the average long-term return, why bother? Let’s look at a lofty ambition for an investor: 10 times better – or an 80% return. Has your effort been worthwhile if you generate an 80% return per year on a $200? Consider this question in reference to the time commitment explained in the first point of this article. With the time involved in short-term investments, even an unbelievable annual return of 80% based on $200 capital isn‘t worth the trouble. Now you will argue that you can trade on margin and leverage your capital investment. Yes, that’s technically correct – at first. Some online brokers offer the opportunity to speculate in day trading with a multiple of your deposit. But is this such a good idea? Suppose your broker offers to trade 10 times the capital of your deposit ($2,000 in our example). An 80% return on your initial investment ($1,600) means that you could increase your equity nearly ten-fold. However, you can’t enjoy this extra opportunity without also accepting additional risk. If you trade $2,000 instead of the $200 equity and get a LOSS of 10% on a single trade (or $200)… then all your capital is gone. Private investors are protected from the risks of undercapitalization by the Pattern Day Trading rule. If you want to buy and sell stocks several times a day over several days, you need to have at least a $25,000 balance in your account. If your equity falls below this mark, then your account is closed for further day-trading activities. But why is day trading, even with plenty of capital, not a good fit for you? Let’s say you have $100,000 to trade with, and you want to increase it every day through short-term trading. In this example, we’ll say you want to trade a stock worth $20. If you want to invest your $100,000 dollars in this one company, you would have to buy 5,000 shares. Unfortunately, there are a lot of shares trading fewer than 5,000 shares per hour – or even per day. If you then place an order with 5,000 shares for immediate execution, you will not meet with your demand on the offer necessary to get good execution rates. When selling this stock position, you will face the same problem. With a large amount to invest, you will find yourself twice as restricted. If you want to invest in individual securities, you will be forced to limit yourself to highly-liquid securities. Unfortunately, this is also problematic because highly-liquid securities fluctuate less than stocks with a low daily volume. In short-term investing, however, your goal is to make money through short term-price fluctuation. You can see how that’s an issue. Of course, there is one way to work around this: diversification. If you split your $100,000 across 10 different stocks, then your chances of good pricing are good. Just remember: managing 10 shares simultaneously will require more automated procedures. Managing a wide variety of stocks by hand will inevitably result in making mistakes and losing money. Short-term investing is both a job and a vocation. You’ll be hard-pressed to find another form of investment that is equally demanding. As a day trader, you will be pressing the buy and sell button many times a month. There’s a similarity to the casino cannot be denied. However, if you admit you like the charms of quick money, then it’s best to stay away from short-term investing in the stock markets. As a day trader, you have to be fast. Very fast. Definitely faster than the competition. To achieve that, you have two basic options. Above all, you must be quick with a mouse and keyboard. Keyboard shortcuts can help you do your work in just fractions of a second. It’s to your advantage if you are good at mental arithmetics, calculating the numbers of stocks very quickly in accordance with the requirements of risk management in your head and enter them using the keyboard. You also need to know how to program trading systems. This is the most elegant solution of all and solves most problems right away. Even if it is not a fully automatic trading system, even a partial automation of trading processes will be helpful. Manually searching for entry opportunities is very time-consuming and prone to error. A stock screener helps to automate this sub-process and allows you to trade – through the use of predefined filters – only the stocks that really meet all conditions. There are scanners for every imaginable form of investment: swing trading, dividends, value investors and day traders. I’ve created detailed reviews of 40 of the most important stock screeners, stock scanners, and charting tools. Remember: It’s difficult to find trading profits without speed. To be frank, without automated procedures there is little chance of successful investing: a bitter reality in short-term investing. The trader who arrives late and gets out late will inevitably – you guessed it – end up with a loss. The internet is full of spectacular promises and ingenious shortcuts. It’s important to consider these claims with an eye of caution. Ultimately, you’re responsible for weighing your own decisions objectively and making a rational choice. In terms of short-term investments, you may well find that more than 80% of investors are losing money in the venture. As you can see, with such a high proportion of short-term investing making major mistakes, you must be careful which examples you are following. You’ll be incredibly dissatisfied if your trading account suffers massive losses (or hits zero!). It’s tempting to blame the outcome on others. But remember: at the end of the day, responsibility for your decisions is yours. Study the subject extensively before investing even a penny. Consider the reasons we’ve discussed why should NOT start short-term investing and decide if you really want to speculate. The internet is full of free information – inform yourself by separating the promotional promises out from the educational content. Spend days, weeks, or even months researching short-term investing topics on Google, YouTube, and perhaps my site, Daytradingz.com. If you decide to try short-term speculation, start by simulating with virtual money. This can be done with a trading tool, a demo account provided by your broker, or just with pen and paper. Do not spend any money on this, if possible. Your time is investment enough. Find out if you enjoy the topic and if you make the expected profits. Keep an eye on expenses and benefits. Start with a small investment after you’ve made money “on paper” for an extended period. If you’ve found you enjoy the subject, consider using a small portion of your available equity for speculative short-term investments. While having just a small amount of capital can be a mistake over the long run, it’s a great way to find out if short-term investing works for you or if it’s time to focus your efforts elsewhere. And remember: Protecting your original investment should always be your highest priority!